After my workshop in Anacortes we decided to take the scenic road to Kelowna, BC, by meandering along the North Cascades Highway in Northern Washington State. It probably doubled our driving time but it was worth it for the views along the way. I had hoped to do at least four sketches on the road, and was especially looking forward to sketching the yellow hills of the Methow Valley but as the car thermometer moved past 100 degrees I gave up on the last few. In the cool mountains I sketched from the overlook above Diablo Lake, taking about 15 minutes to do this one and adding a bit of ink later. A bit later in the morning the jagged peaks of Early Winter Spires could be seen from Washington Pass Overlook. 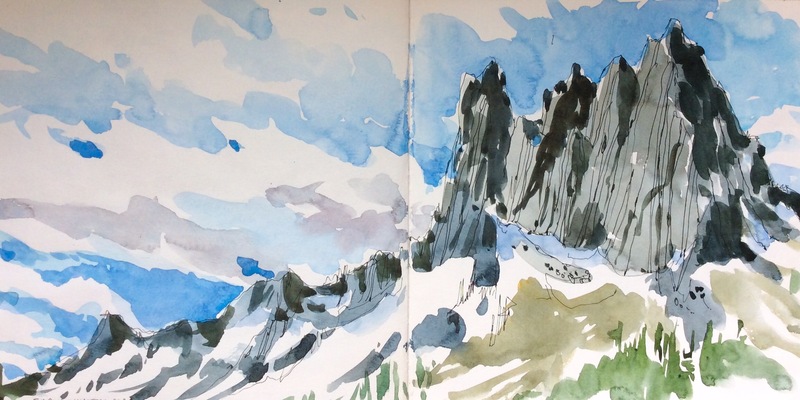 I sketched this entirely on site, trying to capture the drama of sharp rock against sky. I was recently just there in Kelowna! The view in west Kelowna and summerland is amazing! It is beautiful here but very hazy because if the wildfires in BC. I am always amazed by your beautiful pieces * you are able to make us feel as if we are right there with you. Enjoy the rest of your trip. I am delighted by how your two mountain scenes bring me back to the feeling of being in the Rockies! Thank you! Lovely! I know those places and you caught them! Beautiful places to paint Katie! 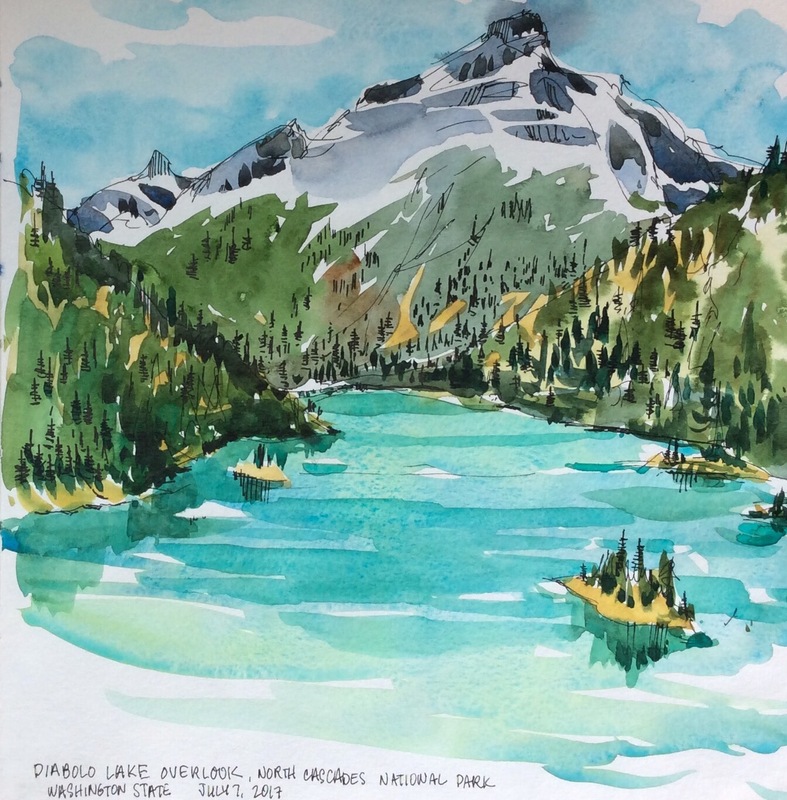 Absolutely beautiful sketch of Diabolo lake. Wish I could have been to your workshop tho I know it was limited. Maybe someday. Your paintings make me so envious of your travels. I’ve been to Seattle but never anywhere else in the state. 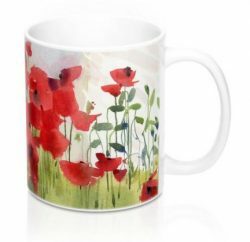 Your paintings are lovely. I hope someday you’ll be able to attend a workshop Judy! It was a beautiful drive and the Okanagan Valley is spectacular. Except that today it’s very smoky because there are forest fires. It’s very eerie, actually. I love the spontaneity of these lively sketches. There is a different quality to them — I wonder why? Hard to believe it was so hot out there. Meanwhile, back east, the rain continues. I haven’t watered the garden in weeks.